Known as THE TIGER GATE of Rajasthan surrounded by Aravali hills, it has a perfect picture postcard setting and looks as if carved magnificently out of rocks. 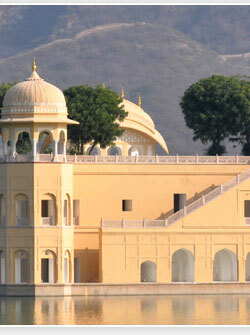 Lush green deciduous forests and lakes, dotted with architectural splendors, surround the harsh hills. The deep valleys and the thick forest cover is a haven for many species of birds and animals. It is one of the oldest cities of the state and its prehistoric and historic sites are an archaeologists delight. 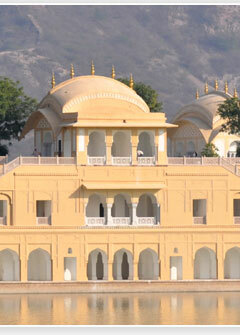 Paradoxically Alwar is both the oldest and the newest of the Rajput Kingdoms of Rajasthan. 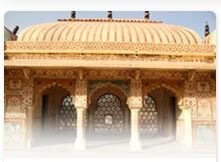 On the one hand, it traces its tradition back to the kingdoms of Viratnagar that flourished here around 1500 B.C. it Is also known as Matasya Desh where the pandavs. The mlghtly heroes the Mahabharata, spent the last year of their 13 year exile. 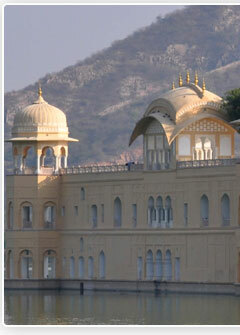 The city of Alwar is believed to have founded by a member of the Kachh family who hailed from Amber, but control was wrested from the Kachhwahas of Nikumbhas. 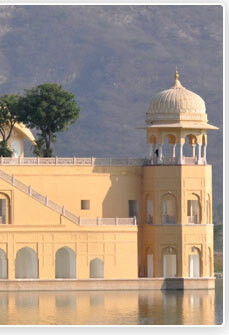 The grandeur, beauty and delicacy of design of innumerable forts and palaces of the region, the tranquil lakes, stately hunting lodges, sites of archeological importance, thick forests with several of birds and animals intermingled with an equally diverse socio-cultural configuration have made this region a traveler delight.